Financing is available and the consultaion is free. There are a lot of things you would most likely rather be spending money on, but with our consumer financing programs you can do both. At McDowell & Son Heating & Cooling we want to make this investment as easy as possible for you. We have many resources available to you for easy HVAC financing; whether you prefer the lowest monthly payment or our 0% interest programs we have a wide range of financing options for any budget. Craft3 partners with Energy Trust of Oregon to offer heat pump loans to Pacific Power residential customers throughout Oregon. 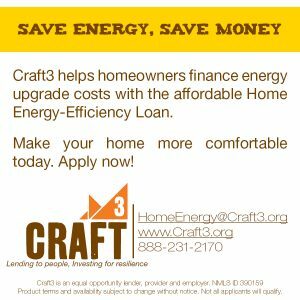 Craft3’s Home Energy Loan offers low fixed rates, 6.89% APR or 7.39% APR, and low monthly payments, and convenient utility-bill repayment. Applicants who pay their utility bills regularly may be eligible for a loan even with a less-than-perfect credit score.